Hair loss can be the result of a few processes that go on within the body. While the main cause is age, hair loss can also happen when someone is particularly stressed out, or if their thyroid glands are not acting as they should. However, there are some ways to combat hair loss and keep your hair looking as healthy as always. Hair restoration is something that people seek not only for their own self-esteem, but also to fix a possible underlying health issue. Here are five beauty solutions for thinning hair. Your body needs proper nutrition to stay healthy and keep hair building fibers active. Hair thrives on several nutrients, including protein, zinc, iron, and vitamin B12. You can get these by eating lean meats and a variety of vegetables and legumes. Routine blood work can detect if anything is going wrong in your body. For example, if your ferritin and vitamin D levels are low, this may be leading to your hair loss. The fix may be as easy as taking a specific supplement each day. Both acute and chronic stress have a great impact on your hair. If you are going through a challenging period in your life, your hair should grow back once your stress levels have lowered. If you are constantly under pressure, try some meditation techniques to soothe your mind. Here are 14 Steps to Reduce Stress-Related Hair Loss. Using heat on your hair through a hair blow dryer, a curling iron, or a straightener can put a lot of stress on your hair and lead to damage and breakage. Try to blow dry your hair on a low heat setting and avoid using heating tools as much as possible. 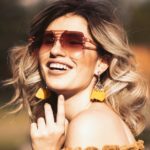 Coloring your hair too much can also have a negative impact on its health, so if you are not happy with your natural hair color, try to limit how much you have it colored. Massaging the head activates the hair follicles and promotes growth. Spend a little more time massaging the shampoo into your head in the morning to get your blood flowing in the scalp and encouraging hair to grow. 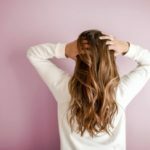 Hair loss can be a very emotional experience, but there are some things you can do to help slow down or stop the loss of hair. Try these tricks in order to keep your luscious locks healthy and your confidence high.